The overarching role of Chair is to act as the central organizing figure in the community, ensuring that meetings and events run smoothly and on schedule. The Chair also provides support to other leadership roles. Hi there! My name’s Ollie, I’m a third year JET from the English countryside and YOUR OkiAJET Chair this year! I can usually be found scouting out all the best new cafes on the island, training hard at my karate dojo, or 40 feet underwater with a tank on my back! As your Chair, it’s my job to oversee the planning of monthly events designed to make sure you can get the most out of your experience here on the JET programme. Looking forward to seeing you all soon at our next event! The Treasurer is responsible for managing all OkiJET funds and provides monthly updates of our financial status during OkiAJET meetings. Bi/tri-annual financial reports will be released to the general community in order to be more transparent. The treasurer also coordinates with other members who would like to use OkiAJET funds for events. Hi OkiJETs! I am Petra, a 3rd year JET from the beautiful twin-island Republic of Trinidad and Tobago (T&T)! I am the OkiAJET treasurer for this year. Those up there 👆🏽 are my responsibilities and I hope to fulfill them to the best of my ability. I wouldn’t bore you with other details. If you have any questions or want to chat, feel free to shoot me a message. I enjoy bumming at the beach, kickboxing, drinking, eating and exploring this beautiful island that I get to call home, by the way did I mention drinking?! Now you know what I LOVE to do! LOL! Let’s enjoy #OkiLife together! Looking forward to another awesome-sauce, fun filled year in Okinawa!! The OkiAJET Representatives act as a bridge between the general OkiJET membership and the leadership. Any questions or concerns should be directed to the Reps. The Representatives are responsible for releasing the OkiAJET minutes and announcements via email to the OkiJets community. They also serve as social media coordinators for all Facebook and LINE groups and conduct the elections at the end of the year. Hello Eh! Hailing from the land of Maple syrups, this Canadian is in his second year on the JET programme. 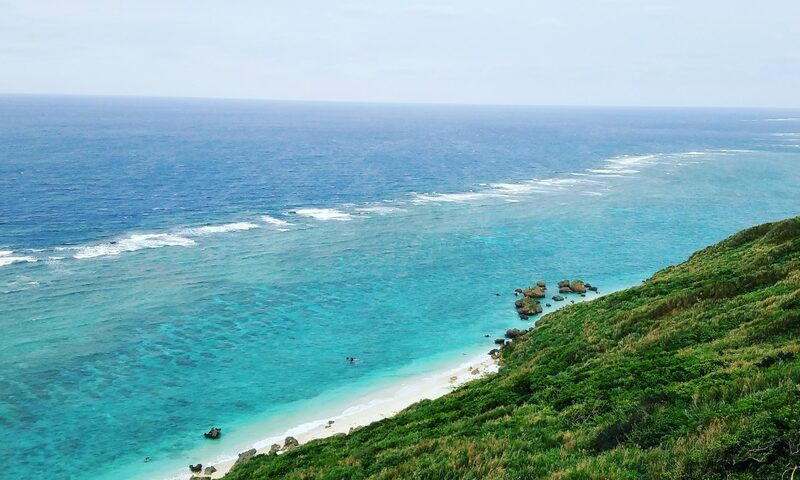 I teach at the Junior High School level on the Miyakojima islands. I am known best for my affinity for collecting cool seashells, learning Japanese slang from my students, and snorkeling whenever I can. My ambitions include learning obscure words, visiting every continent, and making wooden shelving units. I’m acting as one of your OkiAJET representatives this year and hope to contribute to our Okinawan JET community. Hello there! My name is Chris, and I am one of the AJET representatives this year. I am from the US, and I live in the Naha area. I enjoy playing basketball, going hiking, and a good game of cards. As one of the representatives, I hope to make your voice heard, so please feel free to come to me if you have any questions, ideas, or anything else! This is a newly implemented position that is specifically dedicated to monthly event planning for the general OkiJET membership. Any suggestions for events from general OkiJETs should be discussed and coordinated with them. The events that they plan are officially under OkiAJET and are not affiliated with block events unless otherwise stated. Haisai Okifam! My name is Alex and I’ll be one of your Event Coordinators for this year. I like taking pictures of flowers, eating at cafes, and visiting new places on the island. This will most likely be my last year on the JET program, so I hope that I can share all the wonders and beauty this island has to offer and more. If you have any suggestions for fun events to do this year, feel free to let me know. Let’s have fun, and make good memories together this year!! Aloha! My name is Samantha, I’m originally from Hawaii, and going onto my second year of JET. I love eating and trying new places, and documenting it on my instagram. I’m looking to planning and sharing events with OkiJETs of all generations. The general membership has the power to plan and assist with events and to take on other tasks of their interest with the support of the OkiAJET leadership. The general membership is key in making sure all aspects of OkiAJET run smoothly.